Final meeting of the University of West Indies team that consulted with the Federation to prepare its Universal Health Care (UHC) Programme. Seen here, (left to right) UWI Economist Charmaine Metivier; UHC Coordinator Clifford Griffin; Health Financial Specialist at the St. Augustine Campus, Dr. Stanley Lalta; and UHC Chair, Azilla Clarke. BASSETERRE, St. Kitts -– The St. Kitts and Nevis National Commission for Universal Health Care (SKNNCUHC) has thanked the Health Economics Unit at the Centre for Health and Economics, University of the West Indies (UWI), St. Augustine Campus in Trinidad for invaluable support and help to shape the Universal Health Care coverage programme. Last year, UWI Health Economics Unit officials were involved with the programme, giving advice and sharing best practices with the commission. They collected feedback from persons and stakeholder groups about the proposed healthcare initiative. On Jan. 30, government and UWI officials met for a concluding meeting. SKNNCUHC Chair, Azilla Clarke, said, “It was a blessing” to have had the support of the UWI unit. During the design phase the UWI team proposed the benefit package; reviewed the capacity of the health system to deliver on the benefit package; and assessing the local macroeconomic system in the Federation in consideration of the financing arrangements that will be necessary. 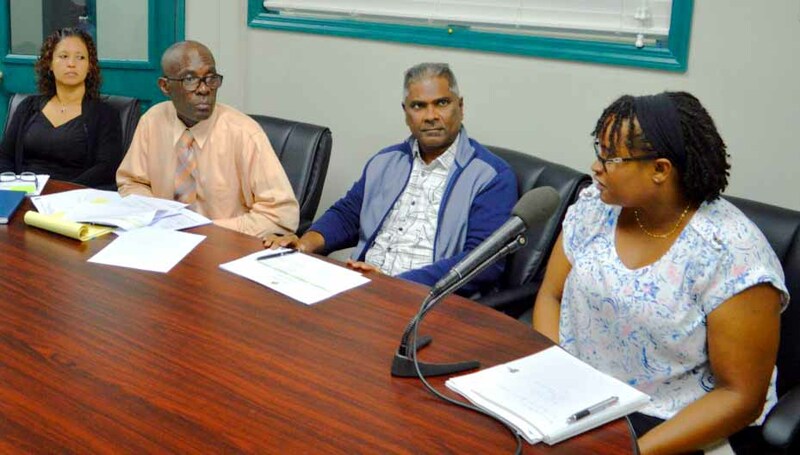 Having fulfilled their contractual mandate, the UWI team will leave the Federation next week.